This is a guide on how to set up a T1 feeding two separate sources for left and right, e.g. two model II's or model I's. T1 is designed to be a mono device, so the setup for stereo is a little complicated. But, once set up, you can easily control volume of the stereo feed from your stereo device (keyboard, DJ mixer, iPod, etc.). Please note - you will not be able to use reverb in this configuration. Most keyboards already have stereo reverb built in - you can use that reverb instead. Step #1: If using two model II's, you will need a power supply for your T1. We will be using the analog outputs of the T1, and will not use the digital output. Step #2: Cabling the T1 to your speakers. T1 channel 1 = Left. T1 channel 2 = right. Connect the analog 'Main' out to your Left speaker. Connect the analog 'Aux' out to your Right speaker. Keep type of cabling consistent - use either balanced 1/4" for both connections, or unbalanced 1/4" for both connections. Set the gain on your Left and Right speakers (model I's, model II's or other) equally as you usually would with a stereo rig. Step #4: Set gains on T1. Mute Channel #2. Adjust your Trim on Channel 1 as you normally would. Set the Trim on Channel 2 to be identical to what you just set Channel 1 to be. Un-Mute Channel 2. Step #5: Set knobs T1. Turn Channel 1 volume knob to 50%. Turn Channel 2 volume knob to 0% (this will make sense in a minute). Turn Master volume to 100%. Step #6: Set Aux sends on T1. Select 'Aux' on selector wheel. Select Channel 1. Set 'Aux' send level to 0% (or turn it off entirely). Select Channel 2. Set 'Aux' send level to 50%, and aux tap point to 'Pre'. Now, channel 2 will *only* go through the 'Aux' out, and not the 'Main' out. Step #7: Make sure Channel 1 and Channel 2 are set identical. Make sure ToneMatch Presets (if used) are the same. Set zEQ to the same setting (if used). Turn FX and Reverb off for both Channels. - if you turn the master volume down, it will *only* turn down Channel 1. You cannot control both the 'Main' and 'Aux' out from the master volume knob. This is the reason for turning the Master to full, essentially bypassing it. - you can use ToneMatch presets, zEQ, and Comp/Gate but I would suggest setting both channels exactly the same. - the T1's reverb is not stereo, I would recommend against using it here. This is easier than it sounds. I will post a scene, but you can probably set your T1 to do this faster than it will take to find the USB cable to do the update. Good luck, Ill post a couple screen shots of how things should look. Please ask any questions and Ill add clarifications to the original post. Here's another shot, showing Channel 1 Aux muted. Everything else is the same, I just selected Channel 1 instead of Channel 2. 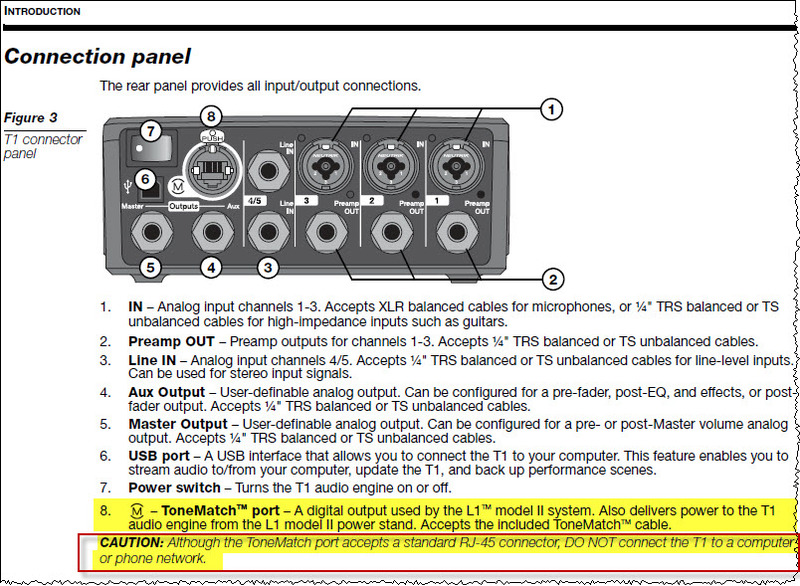 It is worth noting that if the "Left" L1 System is a Model II, then you don't need to have the external T1 power supply -- you can use the Digital connection to the Model II instead of the analog Main output, and that will provide power for the T1. The only other difference may be that the relative volume settings between the "Left" (Main) and "Right" (Aux) might be a bit different than when using the analog-only setup ... but that is most easily adjusted by tweaking the "Trim" on the "Right" L1 base to balance its volume against the "Left" L1. I'm used to a different definition of the term "stereo". Seems like this config is a dual mono output because there is not (necessarily) a stereo mix bus in the signal chain. There might be one from a non-Bose product which feeds the T1, but then again there might not. Thus, the Bose, by itself, is acting a a dual mono system, not a stereo system. Still, that's some clever patching, if a bit contrived. Most of the folks looking to use the L1 system for stereo are playing back stereo recorded music. For this you would want the setup described above - each side panned 100%. In the same setup, you can in fact pan a source. A stereo bus is no more than two buses that have a pan control between them. A pan control is two volume controls attached together in reverse - as you pan to the left you are in essence sending more volume to the left side, while concurrently taking volume away from the right side. So in the setup above, place an input into Channel 3. To pan center, set the Aux send volume and Master send volume to 50%. The source will now be dead center. Turn up the Aux (your R), and the Master (your L) down, and the source will pan right. Vice-versa to pan left. As I mentioned before, we make no claim of elegance here, but it can be done. Once saved as a scene, the re-set up is much easier. Guys, this gentleman has an incredible, ultra high-end stereo sound system for his solo acoustic guitar performance, aesthetically beautiful rig too, as seen on the Acoustic Guitar Forum. He is very knowledgable and is generous and helpful in sharing his experience and info. Open-Road-Matt can attest. If analog input stereo signals (Left/Right signals) are plugged into Ch.4/5 of a T1, can they also be output/routed as separate signals (L/R) via the T1 Master and Aux outputs? Or, are the signals “summed” (losing their Left/Right separation) as a single signal once inside the T1? I'm confused on this issue. The T1® Channel 4/5 signals are summed immediately. We don't have any opportunity to route them separately. If you want to route an analog stereo pair to Aux and Master separately, you have to use two distinct channels. 1, 2, 3, or 4/5. In this instance 4/5 is basically one channel. Thanks ST! That's the information I was looking for, I just couldn't find it anywhere. That answers my question perfectly! Thanks. I have read the post on this forum about setting up for stereo but just wanted to know if putting the system through a mixer setup would also achieve stereo sound. Welcome to the forum. Running two Model IIs in stereo is very simple if you have a stereo mixer. Mixer left output goes to one Model II. Mixer right output goes to the other Model II. However, I would have each performer working with his or her own unit. This would not be stereo. Some call this multi-Mono. Has anyone tried using a hub to split the signal off to multiple L1 units, or would the power source from each be an issue. Although the T1® and Model II use the same kind of cables and connectors as are commonly used in ethernet networks (and compatible with network hubs) this is NOT an ethernet connection and is NOT compatible with ethernet hubs or switches. How many T1®s and how many L1®s (what model) do you have and are you running stereo or mono? Maybe we can help you find a solution that will work. There is a place for stereo in this world, I guess. The idea of using L1 colums in a stereo setup isn't that far fetched, right? Is there any chance Bose will market a dedicated T1-offspring for stereo use? I am about to add a second Model 2 to my set-up. This will give me one Model 2 with 2 x B1 and 1 x T1 and a new Model 2 with 1 x B1. I currently feed my keyboard into inputs 4 and 5. I feed a bass only signal from the keyboard into input 3. I then use inputs 1 and 2 for microphones. I need to keep 2 inputs for the microphones. And I want a to split the stereo signal from the keyboard to each Model 2. I would be happy to give up the bass separation and channel all the bass output through the stereo outputs by adjusting the line outs on the keyboard. Is there any way I can achieve this with the proposed configuration, or would I need to use separate mixer. As outlined in the first note, you can do this by putting the keyboard into Channels 3 (e.g. : Left) and 4/5 (e.g. : Right). Then, use the AUX output (as describe above) for the Right-side L1. I would also suggest that you do the same for the two microphones, so that one mic goes Left and the other one Right. See more on Stereo in the L1 Wiki. Hi, nice solution but cumbersome to average users. The best solution for BOSE is to update the T1 mixer with LEFT and RIGHT MAIN outputs and make the LEFT output channel as default mono out (summed). So we have a choice of using MONO with one l1 sytem or using STEREO with two l1 systems. Is Mike's T1 (Stereo) posted in 2008 still the recommended way to set this up? I need to connect two L1 M2's, 2 B2's and 1 T1. Was a scene ever posted for this - I'd be interested in downloading it. We have an article on this. I included a Scene in that article. Everything should be the same with B2s. Bose are missing a trick by not offering a simple stereo set up in a revamped Tonematch unit! Does anyone at Bose have any input to this subject? As a rule, we do not discuss future product development plans. I'm confident that the reasons are obvious. A good place for the suggestion would be here: T1® Feature Requests. I too am running a pair of L1 compacts as stereo "mains" from a mixer and they are fantastic this way. My question is regarding using them as personal stage monitors and feeding the house system from the line outs. These appear to be post-gain, which makes them far trickier when daisy-chaining together. I don't suppose there's any hidden switch to make the pass-through pre-gain is there? It sounds like you are enjoying your Compacts. That's great. These appear to be post-gain, which makes them far trickier when daisy-chaining together. I don't suppose there's any hidden switch to make the pass-through pre-gain is there? You are right, the volume controls on the Compact affect the signal level at the line out. There's no hidden switch to defeat that, sorry. You may wish to look into the ART Dual Passive Direct Box available in the USA at Guitar Center for $35 as of the date of this post. I have not tried this product nor do I endorse it but it may be a good "Swiss Army Knife" to distribute and/or attenuate signals when "daisy chaining" systems. It also has ground lift to isolate ground hum/buzz. Thanks for the prompt (Sunday!) reply. I have a stereo direct box but I was thinking the through-pass from the L1 compact would be just as good once I get the gain staging right. I do like it when after watching a set someone comes up and says where's the P.A? These were a good investment. Nice, but how do you do that? You all talk about having two L1 II, but I only have one L1 S1 with a T1 ToneMatch. How can I hear both channels from a Stereo MP3 player? I have replied to your question in your original discussion. There isn't a way for a user/owner to do this. It would take a redesign from Bose to do it. For the answer to "How can I hear both channels from a Stereo MP3 player? " Please see my reply to you here in your other discussion. 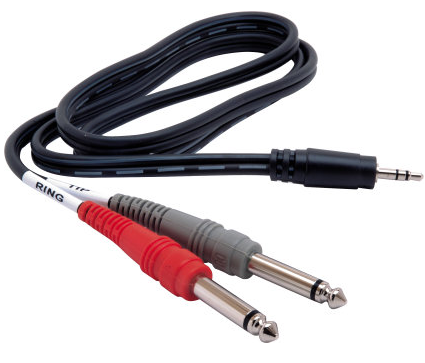 would it be easier to connect a stereo 1/8" to dual mono 1/4" cable to the main output and use the two ends to connect to the input on the 2 speakers? I'm using to l1 model 2 speakers. What is your sound source? How far apart are your Model II systems? If you use this stereo setup to connect a dj controller to 2 F1 stacks, is it possible to connect a mic to the Tonematch mixer and route the mic signal to both aux and master ? Here are some more details about Aux. If analog input stereo signals (Left/Right signals) are plugged into Ch.4/5 of a T1, can they also be output/routed as separate signals (L/R) via the T1 Master and Aux outputs? Or, are the signals “summed” (losing their Left/Right separation) as a single signal once inside the T1? 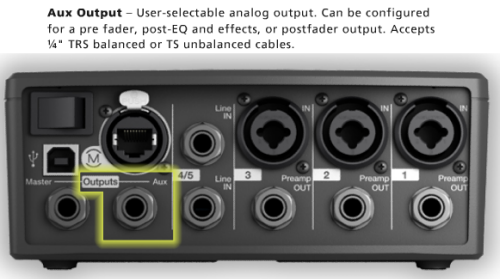 If analog input stereo signals (Left/Right signals) are plugged into Ch.4/5 of a T1, can they also be output/routed as separate signals (L/R) via the T1 Master and Aux outputs? Or, are the signals “summed” (losing their Left/Right separation) as a single signal once inside the T1? The inputs for Channel 4/5 are summed immediately to mono before any other processing happens and you can't separate them however, you can put one side of your stereo signal into Channel 4, and the other side into Channel 3, and route 3 to Aux.